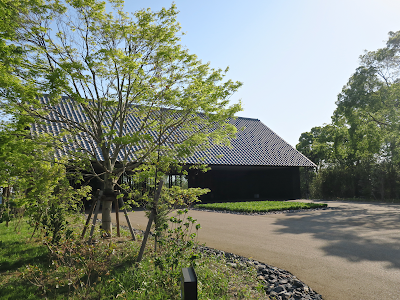 Amanemu is the first Aman that has hot springs. The Aman experience combined with hot springs means you can have the best of both worlds. Checked into the second Aman in Japan and was immediately greeted by the Japanese female GM. 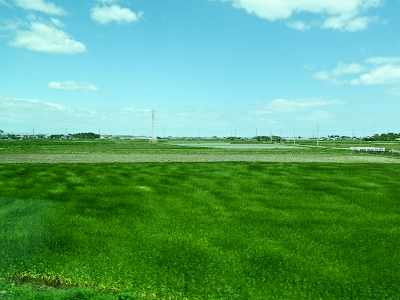 Shimakaze's large picture window is great for enjoying the landscape of Shima. We are getting closer to intricate ria shorelines. Arrived at Kashikojima Station. Let the vacation begin. Touring inside the train. This is the other private compartment that has a western-style interior. One of the carriages is a cafe car. And if you are sitting in a private compartment, you can have your meal delivered from the cafe car. I think this is my first time to eat a real unaju (eel and rice), not a eel bento box, on the train. You can also order a Shimakaze ice cream. 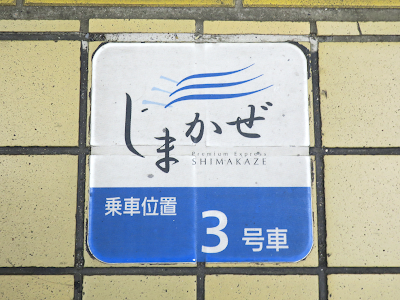 The second leg of my trip to Ise Shima is Kintetetsu's limited express service Shimakaze which is called "Premium Express". 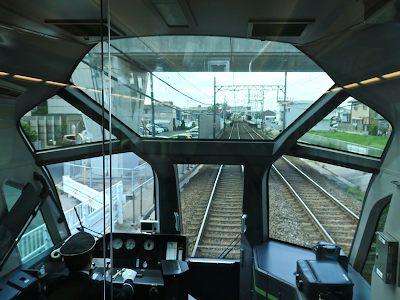 Thanks to my Apple Watch that has the super accurate second hand, I could get a Japanese-style private compartment –one of only two private compartments on the train– at the moment they started selling the ticket online. 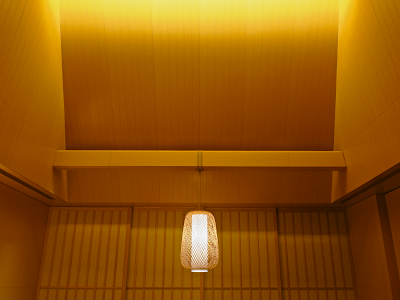 This is a Japanese-style room. So you need to take your shoes off. Traveling to Ise Shima for the first time. 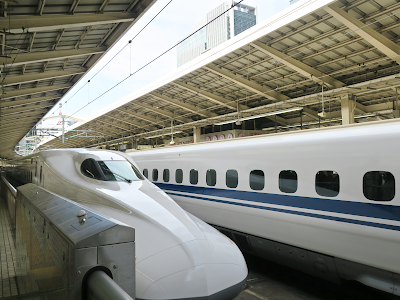 The first leg is the Nozomi train to Nagoya. I was invited to the opening reception of the Studio Ghibli Exhibition held at Tokyo City View, Mori Building's observation deck & gallery which sits above my office in Roppongi Hills Mori Tower. 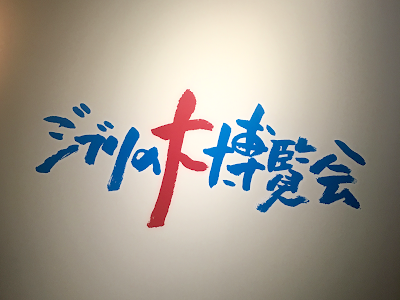 This exhibition that celebrates the 30-year-long history of Studio Ghibli's unprecedented creativity was made possible by the effort of Mr. Toshio Yabe, my ex-client at Mori Building and my geek-mate who shares a passion for aviation with me. He has built a personal relationship with Ghibli and planned this exhibition without relying on a typical business model which requires involvement of media companies and advertising agencies. Uotaniya's team leader, Uotani-san. He has been a member of the project on Hamaguri Beach in Ishinomaki. From left: Gino, Hinako, and Yoshi. 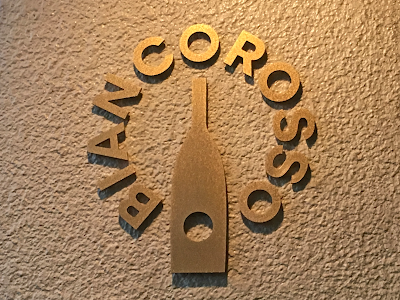 Wakayama-based wine importer Biancorosso opened their wineshop/bar near Nakano Station in Tokyo and I attended its opening reception. 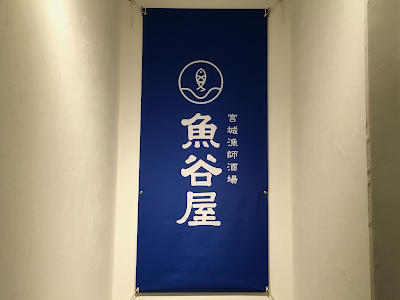 The shop is located on the ground floor of the building that used to be Jiyu Ongaku Gakuen (Academy), a vocational school of music founded by my grandfather in 1946. The school was closed 4 years ago and Saori-san, an interior designer and the wife of my cousin Yusuke, gave a nice makeover to create a space where you can enjoy fine wines from around the world. I'm so glad the building built by my family in 1973 that holds a lot of memories now has a new life. 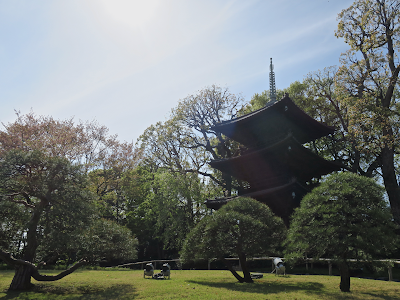 Lunch and a garden walk at Hotel Chinzanso Tokyo. It's been a while since this hotel lost Four Seasons brand. But their first class hospitality has not changed. Then, said hi to St. Mary's Cathedral, Kenzo Tange's masterpiece, which sits across the street from the hotel. Flying back to Narita on a reverse herringbone seat which I like a lot. Puget take-off is always lovely. 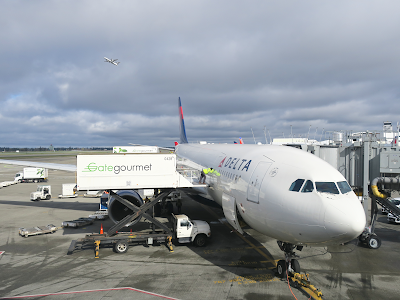 Delta A330-200 SEA-NRT. The 660th flight in my lifetime.